Interviews with pro’s and more! When did you start doing trick shots? How did you get the name “Venom”? sponsored by the Simonis cloth. How many hours a day on average do you practice? shots. One of these . with new ideas for trick shots? can write it down and not forget it. Who has been your biggest influence in artistic pool? Definitely Mike Massey and especially Semih Sayginer. movie is also really really exciting. Do you have any plans to make a instructional DVD or book? How do you like preforming in the US? Any good stories? Wisconsin and California were also tons of fun. stories it would be unfair to quote only one! imitating your shots, how does that make you feel? a career in artistic pool? What is your favorite part of preforming live? have no idea how cool it is for people and for me! instructional sets of DVD break and run. For those who might not know, Lenny Marshall aka Fast Lenny runs a pool streaming site called On The Rail TV. How long have you been running this site Lenny? For 4 Years since April of 2008. How did you get started streaming pool matches? Efren Reyes and Scott Frost were scheduled to play an exhibition match for $5000 at the pool room I play out of, Kolby’s Corner Pocket in Tempe Arizona. I decided as a pool fan that others might enjoy watching it so a couple days before Earl Strickland was there for a trick shot show so I did a test stream and it worked well. I use a very simple set up actually, takes me less than 30 minutes to set up but works very well for what I am doing. I have a Canon HD camera and heavy duty Ravelli tripod, USB mixer and 2 XLR mics, and a Dell Studio laptop. Streaming pool matches have really taken off in the last few years since TV has not been covering many matches in the USA. Where do you see yourself going with this? For me it is just a hobby and an interest as I love pool but it really has grown into something more than I expected with a good solid following with thousands of viewers who tune in to watch. For me your site offers so much more than TV ever can, for instance TV wont show money games, what other advantages do you feel you have over National Television? I like that we can show raw pool, amateurs and guys who play short stop speed who you might not ever see, some with talent and others who are just average players. We have no censors either so we can talk just like guys hanging out in the pool hall, although I do try and keep the chat and audio clean for people out there who might have young kids watching too. What has been the best match that you feel you have had on your site? I would have to say Scott and Efren was the best but at the time my stream quality was nowhere near what it is now and wish I could do it again one day. 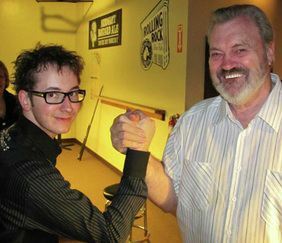 I have streamed other good matches like Hillbilly Charlie Bryant vs Earl and doing the California Billiard Club tournament which had many pro players there. CBC was my favorite stream to do, Scott and Efren were my favorite single match though. How do the players feel about playing for the OTR audience? Most really enjoy it and want to see themselves later on the recorded video as it is a tool to help improve their games and see what others are seeing, it can be enlightening to see what you do wrong and right. I have had one or two players who did not want to play on the stream or thought it was hurting their action but sneaking up on people and hustling is pretty dead really with the internet in place. If you make one good score or beat one good player its very possible everyone will know about it including people in other countries. Some of our readers might not know how to access and view your streamed matches, could you explain the process to them? You can go to www.ontherailtv.comto view the live stream. I recommend signing up for the OTR newsletter on my site so when there is a stream we will send you an email. I stream roughly 2-3 times a month, mainly one pocket but do other games as well. How are you able to provide this service free of charge to the public? 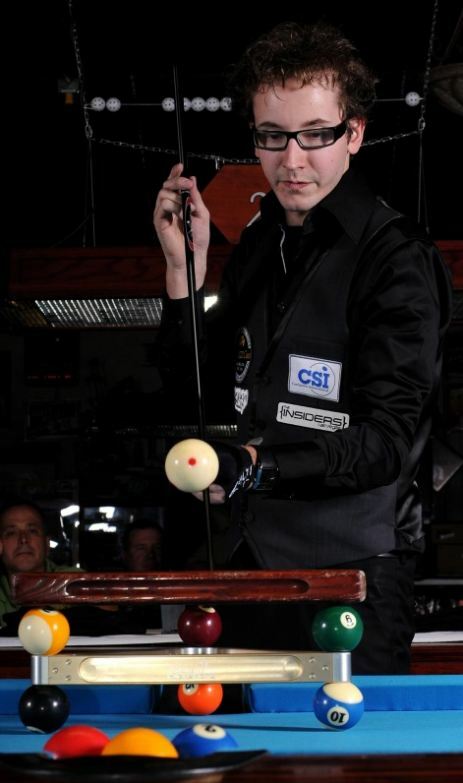 Mainly with support from the fans I have been able to do equipment upgrades and bring live pool to the masses. The biggest cost is my time, I have two young kids so I have to give up some family and personal time to do the streams. People assume when you have all the equipment that your good to go but the site itself cost around $500 a year to run and also equipment needs to be replaced or upgraded like my laptop which is over 2 years old now. So since my stream is always free I have to count on people to help out which many do or buy products I have for purchase on the site. The sponsors I do have are listed on my site and at the moment I am looking for a cue maker and case builder to sponsor OTR along with a billiard supplier. What advice would you have for someone that wants to start streaming matches in their area? I highly recommend they do it, I have met many good people all over the place because of it. Contact someone like myself who will give you advice on the equipment needed to get a nice stream going at low cost. I have helped probably a dozen streamers with information to help them get going, some are still doing it today and others got burnt out or realized its not Hollywood. This is a Q&A session I did with Dr. Cue, I am very happy he took the time to share with us his experiences. For those of you who may not know Tom Rossman here is a little bit of history on him and his accomplishments. Tom was also the author of Rack Up A Victory training book, videos, and DVDs. Considered “founding father” of modern day “artistic pool” movement and The Foundation of R.A.C.K. 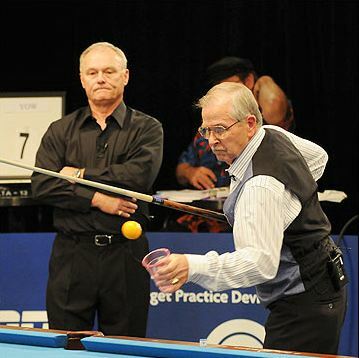 In short Tom Rossman has done allot to advance the sport of artistic pool as well as other aspects of the game. He is a truly an ambassador for pool. 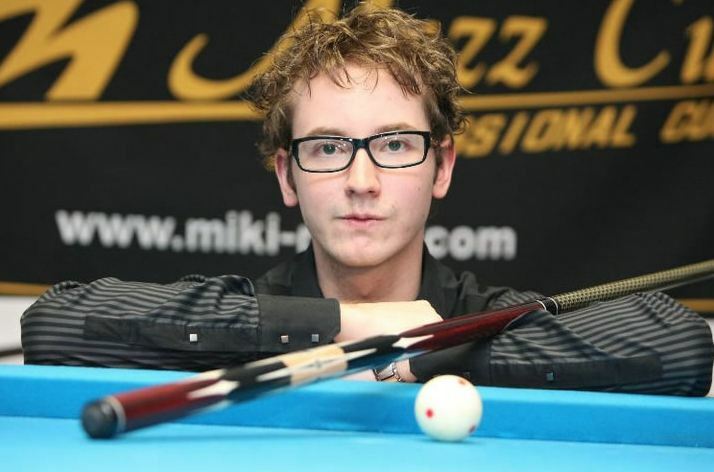 Q: When did you realize that you had a talent for pool? I grew up working as a “rack boy” at a little pool room at Elsies in Minonk, IL. I was 10 years old at that time, but within a few years I knew I loved the game and could shoot pretty well. Q: Did you have a mentor, someone that took a special interest in developing your skill? If so, who? 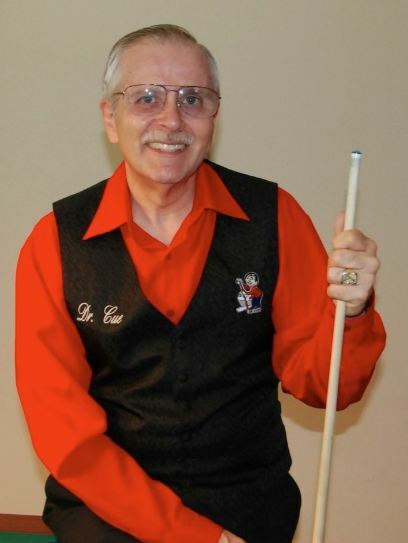 I studied Willie Mosconi’s book Winning Pocket Billiards and that really helped, along with a young player as my mentor by the name of Jack Eden, who was the nephew of the owner. Q: You have been an innovator of Artistic Pool for some time. Where do you see the sports future heading now? I see only the greatest future for Artistic Pool with its beauty, promise, and vision for all ages. Q: After over 4000 shows and clinics do you ever get nervous preforming on live TV or in front of large audiences? Any funny stories about certain experiences? I always have a little apprehension before a show, but that is part of being a performer. Without that, I don’t believe you can be focused and entertain with the humor I often interject. One of the funniest stories is when my wife returned to the show arena early to help me put things away. A woman next to Marty commented that she couldn’t figure out who Marty was, but then realized she must have been my wife since she wasn’t laughing at anything I was saying. Marty said that was the funniest thing she had heard in months. After 4000+ shows, I can understand Marty’s sense of humor as well. 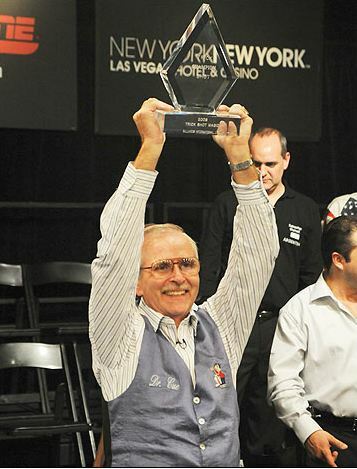 Q: What do you consider your best accomplishment in the world of pool? I think the 1st ESPN Trick Shot Magic would be close to the top of the list from the event side of things. 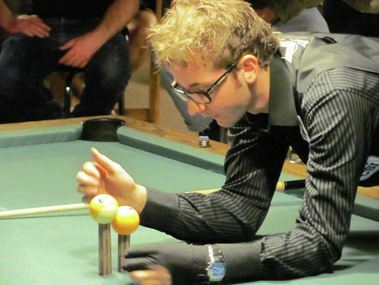 The greatest skill demo I connect with was when I ran 55 wing shots in a row on the pool table in Yucapai, CA several years ago. I really like those type of shots! 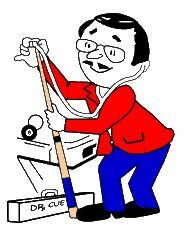 Q: You have a very successful artistic pool tournament called the Dr. Cue Classic Artistic Cup, what prompted you to start this tournament? Q: Sites like You Tube show numerous people trying their hand at trick shots. How do you feel about the younger generation of trick shot enthusiasts? They are totally awesome and are creating new “artistic pool” shots at a fever pace. I believe the surface has just been scratched in this social medium. We are sure to see new champions of our sport from these talented new hearts of skill, image, and demeanor. Q: What would be your advice for someone that wants to take their game to the next level? This is simple — Develop solid fundamentals, learn the mathematical side of the game with “diamond systems”, study the mental game for burning focus and other key elements of game approach, and most importantly, implant the concept of “enjoying the roll” over everything else. I recommend all players and fans to view segment #40 on the APA Channel via You Tube . This was a special instructional segment I did for the APA several years ago that always makes a connection for the best game and victory in one’s game and life. Q: Looking back over your career, is there anything you would have done different? Any regrets? No regrets on the actual game as I know it has been an equipping for a higher purpose. I believe we are just “watching over things” for God and we must always share the blessings we receive from our sport with others, so that they might share them with others. I recommend starting as early as possible with “spreading the real meaning” of the game and life from a spiritual perspective. The joys our game and life can offer are immense if we really understand what it is all about. To Rack Up A Victory In your game and life is one of the greatest joys one will ever experience. Thank You Dr. Cue for everything that you have done for pool. Would you like to see more interviews with the pro’s? Post a comment below about who you would like to see next.